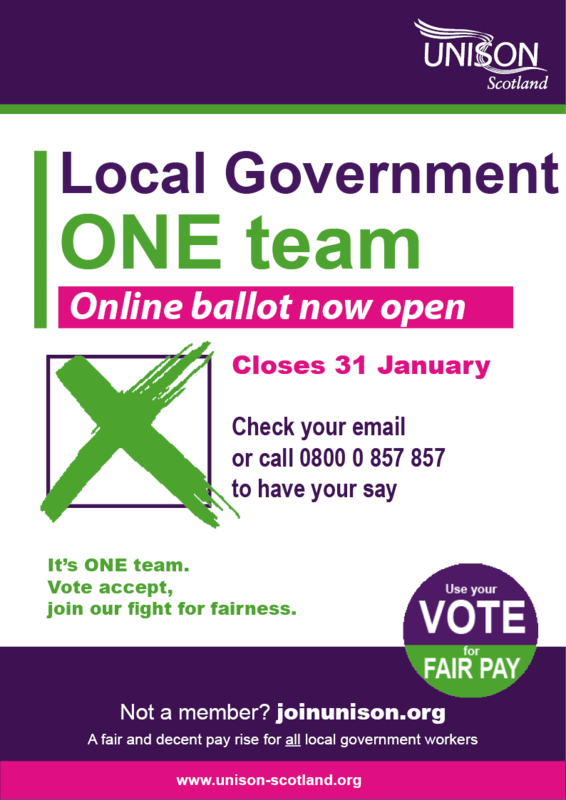 UNISON’s Local Government Pay consultative ballot in Scotland closes on 31 January so make sure that you have your say. The pay offer is for a period of three years and covers the period 1 April 2018 to 31 March 2021. The award for 2018 will be backdated to 1 April 2018 application date. 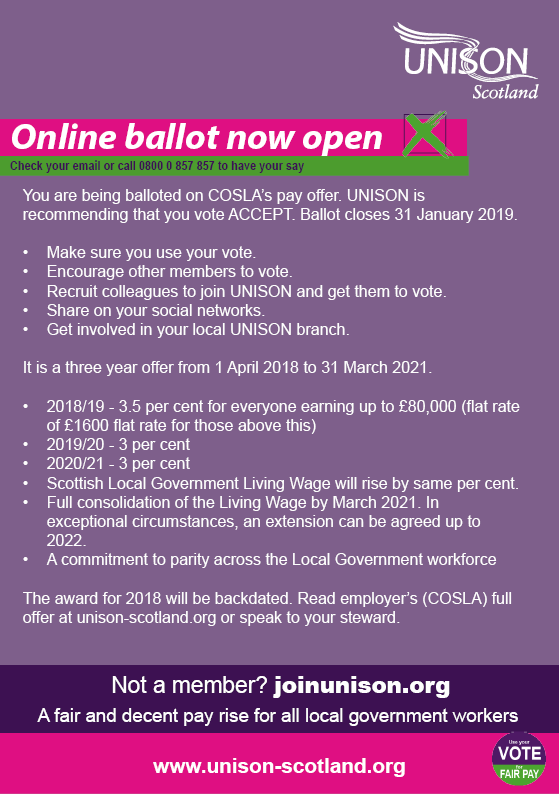 2018/19 an increase of 3.5% (capped at £80,000, on or above which a flat rate of £1600 will apply).